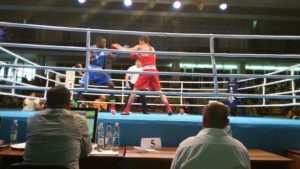 Fourteen quarter-final contests were held in the FISU University World Boxing Championships in Elista on Day4 which city is located in the Southern part of the Russian Federation. 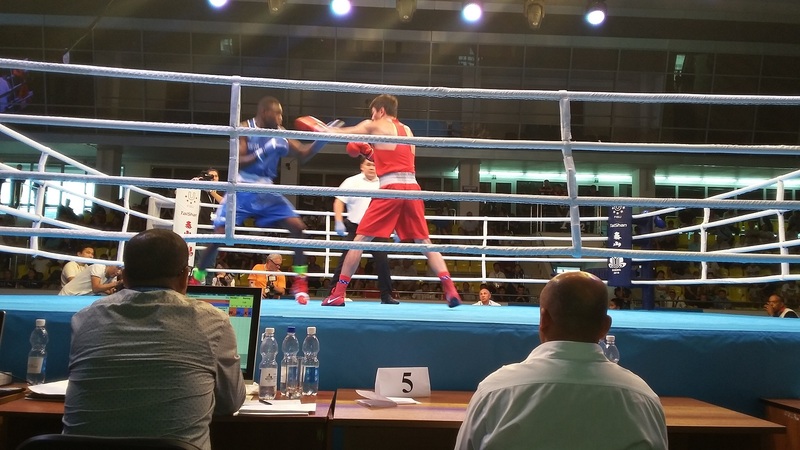 Five Asian boxers won their contests on Day3 which means they are guaranteed medallists in the FISU University World Boxing Championships and after the fourth competition day three more athletes joined to them. Following the last Chiang Mai edition which was held in Thailand the current host is the Russian Federation. Altogether 17 women and 93 men boxers are attending in the FISU University World Boxing Championships where 13 winners will be crowned in Elista which is the capital city of the Republic of Kalmykia. In the fourth competition day Chinese Taipei’s AIBA Women’s World Boxing Championships bronze medallist and Rio 2016 Olympian Chen Nien Chin proved her powerful performance. Chen is still only 21 but she is a top woman boxer and attending in the international events since 2012. Chinese Taipei’s No.1 was not able to attend in the Asian Games therefore she was highly motivated against Hungary’s former AIBA Women’s Youth World Champion Petra Szatmari and won the bout by unanimous decision. Japan has got strong light flyweight (49kg) boxers and besides to their Asian Games competitor Tomoya Tsuboi another of their young hopes shined in the FISU University World Boxing Championships on Day4. Yudai Shigeoka started a bit better than Chinese Taipei’s Lin Hong Da and following a close first round the Japanese boxer knocked out his Asian rival in the second. Japan’s Ryoma Kitaura moved up to the bantamweight (56kg) only in the recent months and he proved his talent in the Thailand Open International Boxing Tournament where he claimed silver medal two months ago. The 21-year-old Japanese boxer was confident against Chinese Taipei’s Chen Po Yi and led after six minutes of fight in three scorecards. Kitaura landed tough punches in the final minutes and the ringside doctor confirmed his RSCI triumph due the injury of the Chinese Taipei boxer.